The current Taylor Kia of Boardman *NO GIMMICKS EVERYONE QUALIFIES* price is $34,320. With an original MSRP of $36,820 this 2019 Kia Optima SX has an immediate savings of $2,500! This 2019 Kia Optima SX features a Blue exterior with a Black interior. Factory equipped with an impressive 2.0 liter turbo, and an automatic with front wheel drive. DESIRABLE FEATURES: Leather, Panoramic Roof, Sunroof, Navigation, Heated Seating, Bluetooth, Heated Wheel, Aux Audio, Alloy Wheels, Blind Spot Monitor, SiriusXM, Fog Lamps, Keyless Start, and Remote Entry. 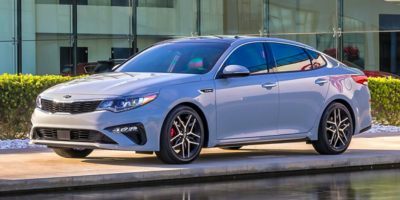 Your 2019 Kia Optima SX is one of 62 other models like this in stock Youngstown drivers will find available to test drive at our new vehicle showroom in Youngstown, OH. This Kia Optima is perfect for any ones car needs in our neighboring communities of Youngstown, Warren, Boardman, Canfield,& Austintown, OH. TECHNOLOGY FEATURES: This Kia Optima for sale near Warren includes Multi-zone Climate Control, Steering Wheel Audio Controls, Keyless Start, a Premium Sound System, an Onboard Hands-Free Communications System, a Navigation System, a Electronic Messaging Assistance, Memory Seats, an Anti Theft System, Steering Wheel Controls, an Auxiliary Audio Input, an MP3 Compatible Radio, Digital Media Storage, Memory Mirrors, and an AM/FM Stereo. Stock # K19542 is priced below retail market value! Taylor Kia of Boardman New Kia Super center has this 2019 Kia Optima SX competitively priced for a fast sale today. Our Kia Dealership in Boardman, OH: Call Taylor Kia of Boardman today at 330-886-4942 to schedule your test drive of this 2019 Kia Optima SX! Taylor Kia of Boardman features a wide selection of new Kia vehicles for sale near Youngstown, Warren, Boardman, Canfield,& Austintown, OH. You can also visit us at, 7870 Market St Youngstown OH, 44512 to check it out in person! INTERIOR OPTIONS: a Power Tilt/Sliding Sunroof, Automatic Climate Control, Heated Seats, Air Conditioned Seats, a Panoramic Moon Roof, a Heated Passenger Seat, a Power Drivers Seat, a Leather Wrapped Steering Wheel, an Adjustable Steering Wheel, a Pass-Through Rear Seat, Air Conditioning, Bucket Seats, a Driver Illuminated Vanity Mirror, a Passenger Illuminated Visor Mirror, a Bench Seat, Vanity Mirrors, a Tilt Steering Wheel, and a Rear Window Defroster. Canfield new Kia dealers simply cannot compete with Taylor Kia of Boardman attention to stocking Kia cars, trucks & SUVs with the most popular interior options.